Montenegro Architects retain architects, drafts people and designers who are experienced with the local market, its building codes and regulations. Our fee base for professional architectural and design services is kept lower than most of Europe due to the use of local professionals whose pay structure is significantly lower than elsewhere in the EU. The charge for architectural and design services is a flat fee based on the square meterage of the architectural and design work you require, currently charged at approximately €15 per sqm. Where plans are redrafted due to changes required by the client only those areas that are redrafted are chargeable. For example, if 20% of a 200sqm plan was changed it would add a further 40sqm to the total architectural fee base. Fees for project management can vary depending on the complexity of the project or site, our standard rate is 2.5% of build and planning costs (we arrange planning approvals and inspections). Disbursements (copying, fax, phone, post, translation, etc. ), usually €100 to €250. We can provide design and planning services for all forms of projects, inclusive of materials specifications, contractual terms and management of appropriately qualified construction specialists. Our process commences with a design brief of your requirements, from which we produce a concept plan and outline schedule. Once the concept is approved we will then draft detailed plans and specifications for planning approval. 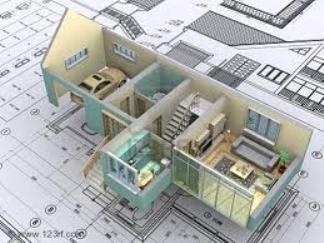 Once detailed plans are approved we will contract specialists according to the agreed schedule and budget. Site and property object surveys. Landscape designs, including pools and special features. Renovation plans for traditional old stone houses/buildings. Design of new apartment blocks. Design of classic colonial villas. Design of hotels and holiday resorts. Marina, pontoon and 'beach' designs. Commercial and industrial building design. For more information on our architectural services please contact us. Managing any building project abroad can be a daunting task when you are not familiar with local cultures and working practices, let alone regulations and tax. Our personnel are professionals and deal with such matters on a daily basis. Therefore we can provide this service for you. Due to the low pay rates in Montenegro we believe you will find this service both cost effective and extremely valuable: saving you time, money and possible headaches. Our aim is simple: we ensure that the project meets time, budget and quality objectives from the outset. We report to you at each stage of the development, and in the event of unforeseen issues, we advise on the best way of resolution. When we take on a project management service for a client we select builders and support professionals from our database of approved providers. Each has contracted with us and understands our requirement for high standards. With possibly one of the largest databases of properties for sale in Montenegro our associate company, Montenegro Property Associates (MPA), is sure to find something to match your requirements. The best selection of professional and experienced builders. Biological water treatment and sewage systems. Security installation and surveillance systems. Electronic locks with card key system (ideal for rentals. R.I.C.S. (Royal Institute of Chartered Surveyors) regulated property and real estate management service. All at the best possible price? Then search no more! You’ve come to the right place!!! We are the experts in all areas related to your existing or future property acquisitions in one of the most desirable places on the planet - Montenegro!! !